I want to take this time to say a BIG THANK YOU to Domino’s Pizza on “P” Street for donating pizza, plates, napkins, and soda to the counseling program. Over the last 10 weeks, 11 students have met weekly to discuss previous trauma and learn coping skills to help deal with trauma. To celebrate their hard work, we hosted a Pizza Party for the students and their trusted adults. Domino’s Pizza was generous enough to donate FIVE large pizzas along with soda for the cause. 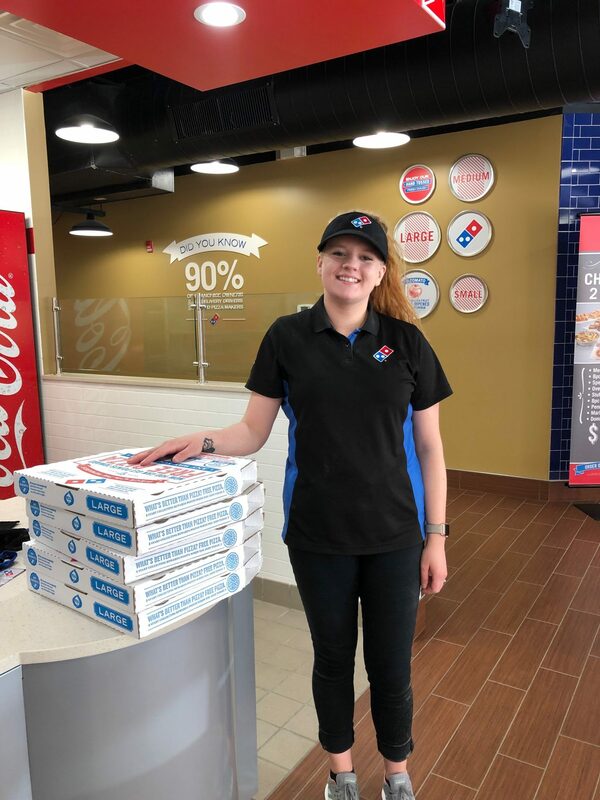 We want to give a big thank you to Domino’s and to the assistant manager, Samantha, who were fantastic to work with. She even made sure to tell me how proud of the students she was, having never even met them. Thank you again to Domino’s and to Samantha!